Sanai Blogger template is the good looking and responsive blogger template. This is a perfect template for all kind of blog niche website with blogger platform. 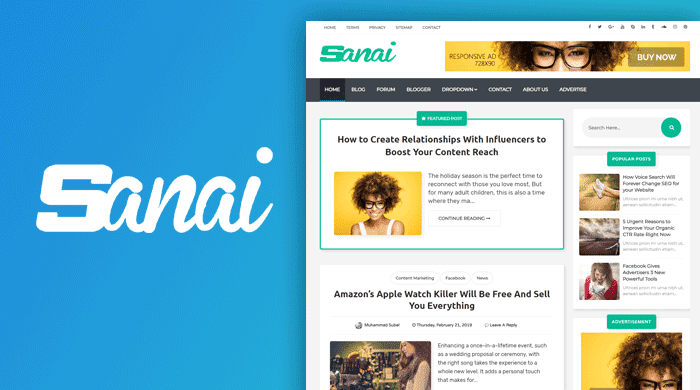 Now check some awesome features of Sanai Blogger Template. 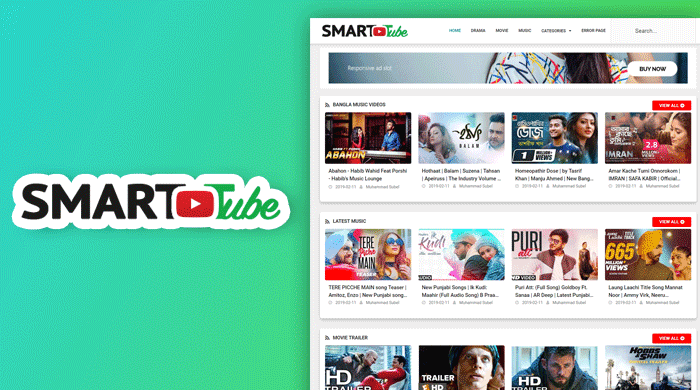 Smart Tube Video Blogger Template! Let's welcome our new blogger template. Yes! after 1 year, we're releasing a new template. Smart Tube is a professional and high-quality video blogger template. If you're looking for a smart and responsive video blogger template, then smart tube blogger template will be good select. It is highly optimized for a video blog. If you're running a video sharing site with blogger platform, then make your blog more professional with smart tube template. Now let's check some awesome features of it. Bayna Fast responsive themes are designed with intelligence and good UX design for all mobile devices. Furthermore, Smart Blogging and super fast responsive blogger themes provide you abilities to choose a fully responsive website or a mobile optimization theme for mobile devices. Smart Responsive Web Design makes your web page look good on all devices (desktops, tablets, and phones).Smart Responsive Web Design is about using CSS. 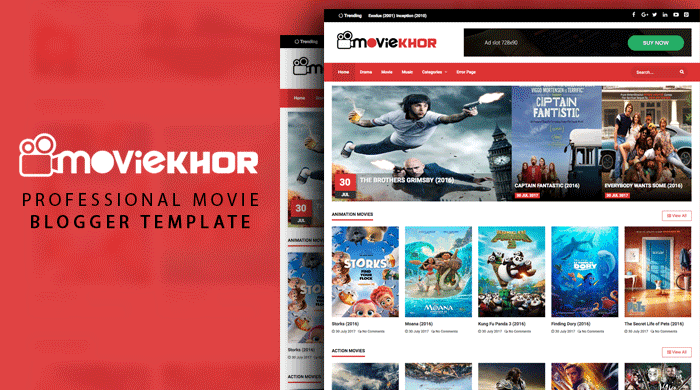 MovieKhor is the high quality and SEO friendly and good looking movie blogger template. You can use this template on every movie review or movie download site that hosted on blogspot blog. TemplateMark is the one of the best source of download free and premium blogger templates. This time is for share another Free blogger themes for you. 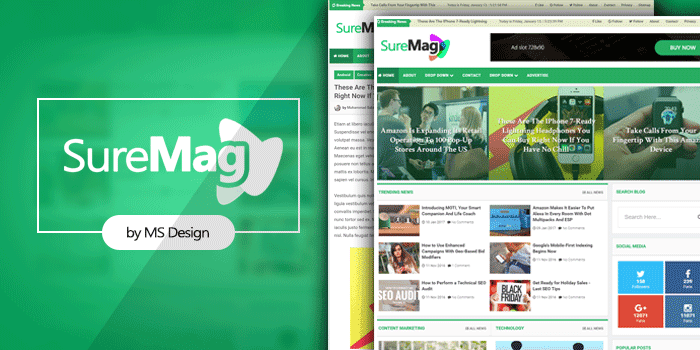 Sure Mag is another Magazine blogger template by MS Design. This is compatible with all kind of Magazine blog, Newspaper blog, Review blog or Technology blog. Sure Mag Magazine blogger template is fully SEO optimized blogger template and also responsive designed that compatible with all kind of smartphone device. It has 7+ different and creative home layout box. 3rdball is a professional video blogger template by MS Design. This is also a SEO friendly blogger template. Mobile friendliness blogger templates are important for Search engine. We also always focus on responsive design. 3rdball video blogger template is also a highly responsive and mobile friendly blogger template. The design of this template is minimalist, clean and user friendly. Hope guys you'll like this template. 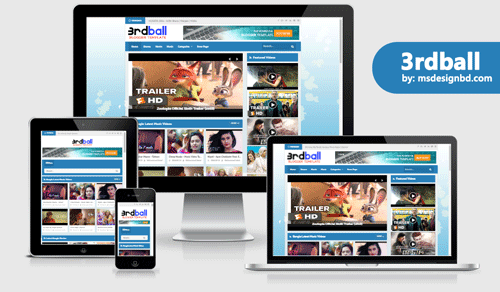 Make a beautiful video blog site with 3rdball professional video blogger template. 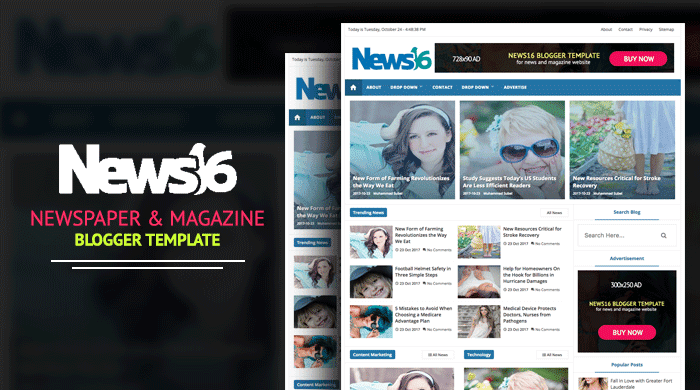 News16 - News & Magazine Blogger Template! We have already shared some awesome, Creative and professional Magazine Blogger templates these are already got most popular. Now people are interested in making his/her own magazine blog with blogger platform. Mag-style blogger templates are now popular search term. This time we're releasing first blogger template of 2017. News16 is a Magazine style professional blogger template for Blogspot platform. Sure Mag blogger template is News16.